To make the salt tincture: combine equal parts sea salt and warm water, then stir to grind up and fully dissolve the salt. The result is a milky white, viscous liquid. To make the Margarita: combine all the ingredients in a shaker filled two-thirds with ice. Shake well and strain into a chilled coupe glass, or – on a really warm day – pour over crushed ice in a rocks glass for an even more refreshing drink. Garnish with a lime wheel, or not. Enjoy! What’s there to say about the Margarita? It’s great. Refreshing, bright, wonderfully earthy and perfect for warm weather. About as near to perfection as its close cousin, the Daiquiri. I’m not a big fan of garnishing a Margarita with salted rim; I don’t like the texture of big grains of salt and I find the salty intensity of it off-putting. So I decided to try incorporating salt without a salted rim. Hence: the salt tincture! Salt does to cocktails the same thing it does to food: enhance and modify flavors. 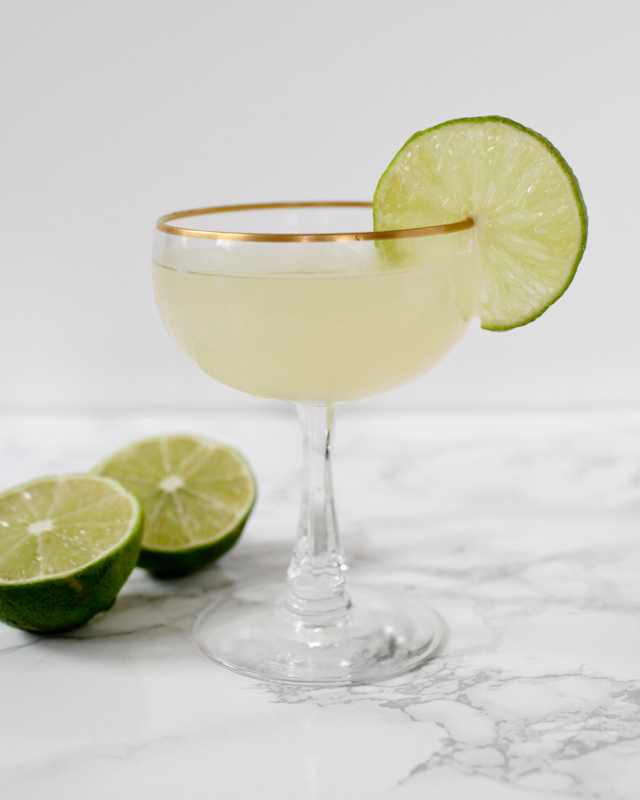 In a Margarita, salt boosts the lime’s citrus flavors and mellows out any bitterness from the Tequila. There’s just a hint of saltiness, but you’ll definitely notice the way the salt rearranges the drink’s flavor profile. Salt tincture also gives the drink a slightly more viscous mouthfeel; this Margarita almost feels creamy. But it’s not like you need the salt. A Margarita is pretty great however you hack it.